DOUALA, Cameroon - April 18, 2016 - PRLog -- The composer and songwriter known internationally as Eliel Arrey has released his latest full-length record, "The Essentials." The album contains no fewer than 20 tracks for an approximate total listening time of 80 minutes, making for a comprehensive collection of material from Arrey's repertoire. It has been proudly published on the EA Music Group independent label. In addition to Eliel Arrey himself, the album features remarkable performances by Nasomi, Yolanda Arrey, and Steve Owner with an extended instrumental of Eliel Arrey's 'Paradise' remix of Melissa Otero's 'Angels and Demons.'" Broadly varied, emotionally evocative, and showcasing the artist's most innovative work to date, "The Essentials" from Eliel Arrey is indispensable for fans of pop music and epic anthems alike. 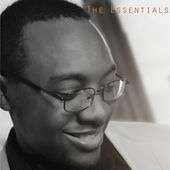 These two musical identities dovetail smoothly on "The Essentials," just as they intertwine in Arrey's work in general. His electronica and pop music offerings tend to have aspects of classical narrative and sweeping, soaring waves of sound. Likewise, his classical compositions and soundtracks are marked with motivating narratives and memorable, catchy melodies as are found in his pop and EDM. Speaking of his new "Essentials" record, Arrey writes, "Music has always been influenced by cultures. Every society/culture has a unique style to their music and different instruments sometimes trademark some cultures. Our album, 'The Essentials,' is meant to draw in music lovers from all backgrounds, cultures, and styles. Our listeners will notice many instruments not conventionally used in typical, everyday music." This is seen in his use of bagpipes to play the African Cameroonian National Anthem, in kalimbas which lay the down his verses in "Far Cry," and his exploration of the violins and woodwinds of the Celtic hills. Each of these are showcased through the impeccable audio vision of sound director and senior sound engineer Kevin Monahan of Love Audio Mastering. "'The Essentials' is going to take every listener on an international journey," says Eliel Arrey. "We hope that all our listeners can feel and appreciate the diversity we sought when we compiled this album. Our vocalists are nothing short of world-class, featuring the powerful Dutch artist, Nasomi and Salt Lake City's finest, Yolanda. 'The Essentials' also boasts internationally acclaimed songwriter and engineer Steve Owner, as well as the extended instrumental rendition of Melissa Otero's 'Angels and Demons.'" Songs on "The Essentials" come from many music genres, including new-age, modern classical, electro house, dance, hip-hop, R&B, orchestral, and world music. There's also a song in honor of the late film-score legend, James Horner. "We had a hard time picking what genre to list the overall album under," Arrey says. "We love the diversity of the tracks in the project as it symbolizes the diverse influences we have had in our lives and the different cultures that have influenced us. Our goal is that everyone can find something that they can relate to when they play this album." With nearly every emotional hue coloring this striking example of unbridled innovation and musical alchemy, it's improbable that the music fan won't hear himself in it somewhere. "So much love and hard work has gone into this project. It is our deepest honor to share this album with you and the rest of the world." "The Essentials" by Eliel Arrey from EA Music Group becomes available online worldwide 20 April 2016. The music artist known as Tihomir has released his debut LP album, "Solo."